Dave (Jason Bateman) can’t stand withstand a hurricane. Directed by David Dobkin, the Change-Up is starring Ryan Reynolds, Jason Bateman, Olivia Wilde and Leslie Mann. The film will be released on August 5, 2011. 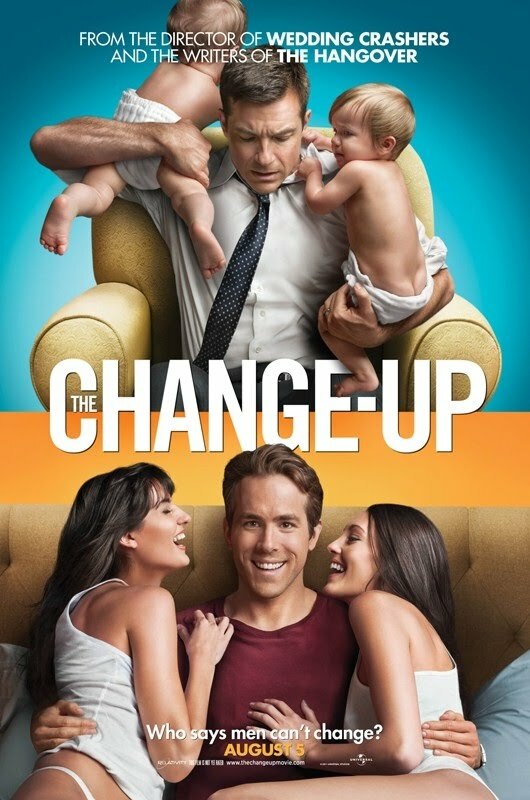 The Change-Up is directed by David Dobkin and is starring Ryan Reynolds and Jason Bateman. Who says men can’t change? The Change-Up movie is starring Ryan Reynolds and Jason Bateman. “Growing up together, Mitch (Ryan Reynolds) and Dave (Jason Bateman) were inseparable best friends, but as the years have passed they’ve slowly drifted apart. While Dave is an overworked lawyer, husband and father of three, Mitch has remained a single, quasi-employed man-child who has never met a responsibility he liked. To Mitch, Dave has it all: beautiful wife Jamie (Leslie Mann), kids who adore him and a high-paying job at a prestigious law firm. To Dave, living Mitch’s stress free life without obligation or consequence would be a dream come true. Following a drunken night out together, Mitch and Dave’s worlds are turned upside down when they wake up in each other’s bodies and proceed to freak the &*#@ out. Whose life do you refer? The womanizer’s or the family man’s? The Change Up will be released on August 5, 2011.